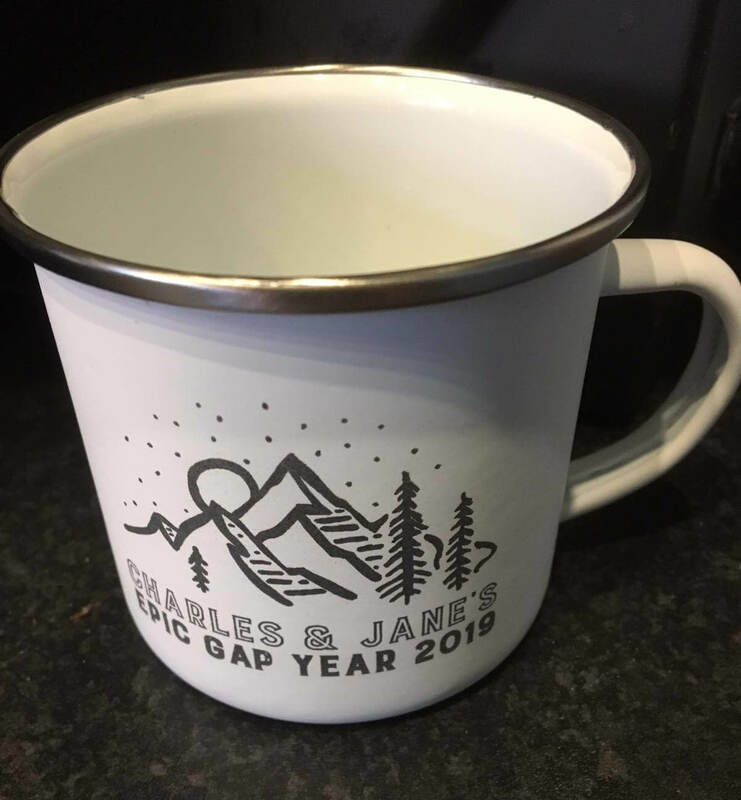 My mum and dad are taking 2019 as a ‘gap year’. They’ve decided to make the most of their semi retirement and get out there and see the world. 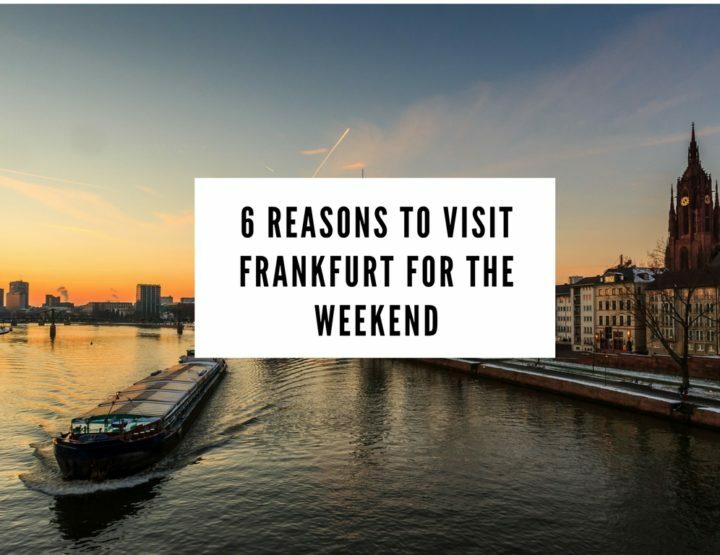 They’ve got plans for Spain, and Greece, and who knows where they’ve booked this week – but most importantly, to make the time to see more of England. Their first trip for 2019 was a weekend in Liverpool and Blackpool. 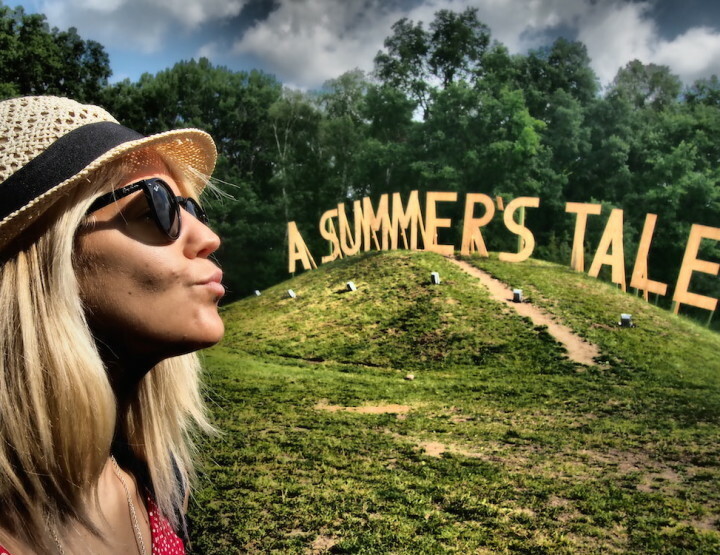 And, as a big fan of my blog – and a fellow creative and writer – mum wanted to share her trip with my readers. 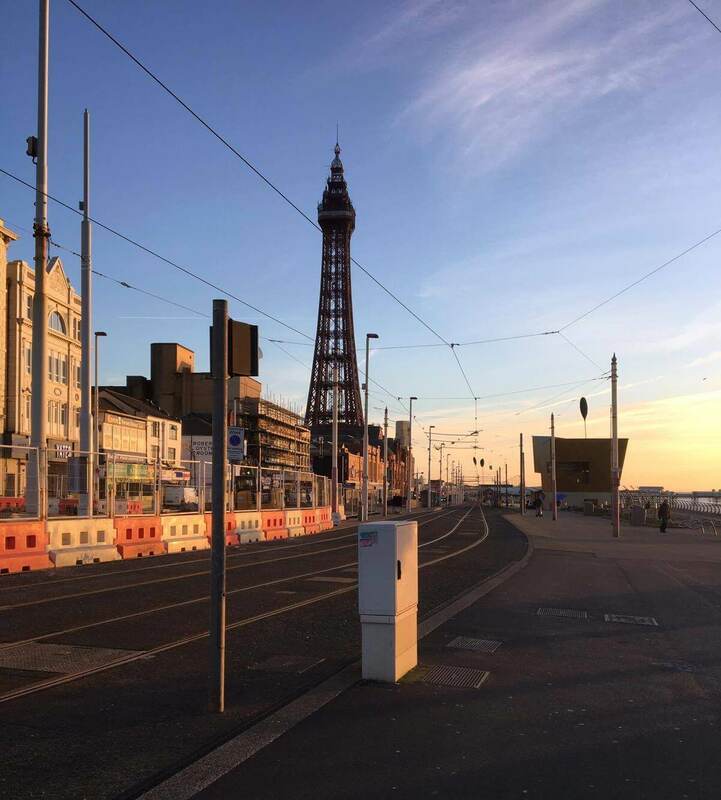 They learnt some important lessons on their first trip, and so if you fancy a wintry weekend in Liverpool & Blackpool yourself, take note of their parking, toilet and opening hours advice. As well as the things to do, of course. That’s me, VickyFlipFlop’s Mum, and that’s a familiar saying in our household for when I see something that takes my breath away. Charles (FlipFlop) and I are having a gap year, a year of getting out there and doing fun things. Our finances don’t cover endless travel abroad, so the first trip was a two-night break to visit Liverpool, Crosby and Blackpool. A couple of hours in the car from Derbyshire and we’re in Liverpool – it’s a beautiful day. We parked near the Albert Dock and realise that parking in Liverpool is expensive. We paid £3 an hour… but anyway, off to The Beatles Experience. There were four areas set up, one for each Beatle, telling their individual story with a bench in the middle to sit and learn. It was very moving to watch the video about John Lennon. They said all he’d wanted was peace in the world, but he actually had a very violent end. So sad to think about. 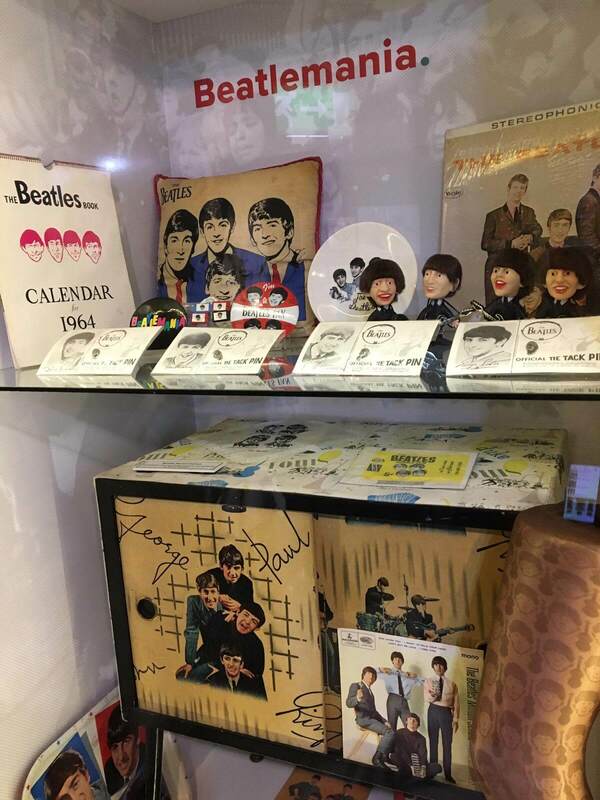 You could buy anything you ever wanted Beatles related in the gift shop. We paid £12.50 entry (for concessions) which gave us unlimited time to browse with a headset to guide us round the exhibition. Of course there was plenty of Beatles Music and a nice coffee shop at the end too. Next it was time for a wander round the Albert Dock area. There are lots of places to eat and drink and a hub to book bus tours around Liverpool too, but we zoomed round to get back to the car. Just across the road from the Albert Dock was the Baltic Fleet Pub. We went for lunch, and to sample the specialist beers. Unfortunately the kitchen was closed, but we had a ‘Campaign for Real Ale’-recommended pint. 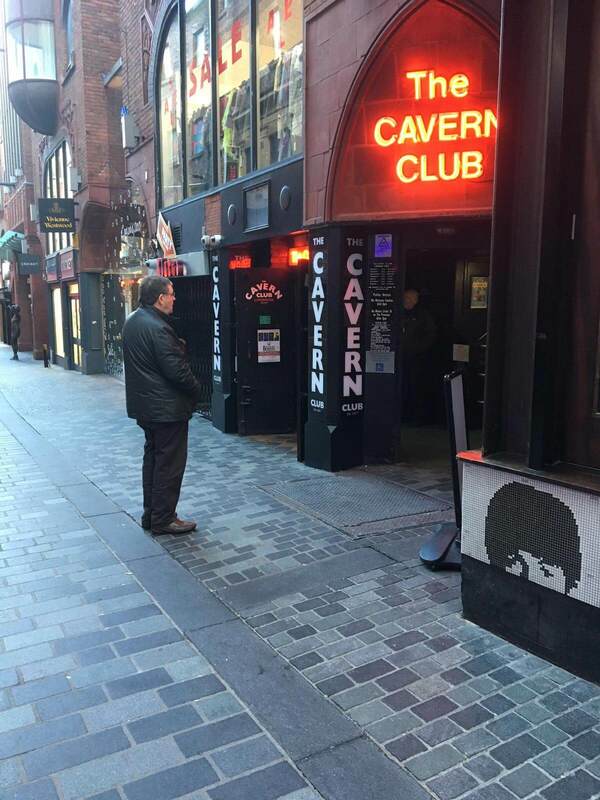 Then it was down to Mathew street, home of the Cavern Club, the Beatles Museum and lots of themed 60s shops and bars. Thanks to it being January, there were no queues or crushes to deal with either, and we had a lovely look around. 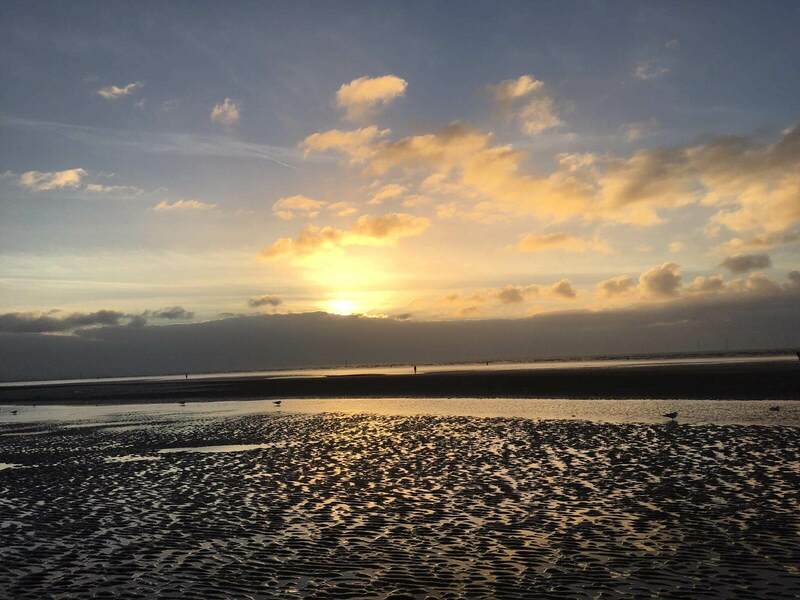 When we were all Beatled out we drove 10 miles up the coast to Crosby Beach, the home of ‘Another Place’. It’s an installation of modern sculptures by Sir Anthony Gormley – the creator of the Angel of the North. There are 100 cast iron figures looking out to sea, all the same and modelled on the artist’s naked figure. The sculptures are amazing, and the setting is stunning. The figures cover a huge area of the beach. It’s best to check the tide times before you go as a lot of them are submerged at high tide. Just to note – it costs 40p to go to the toilet at Crosby Beach. Whatever happened to spending a penny?! 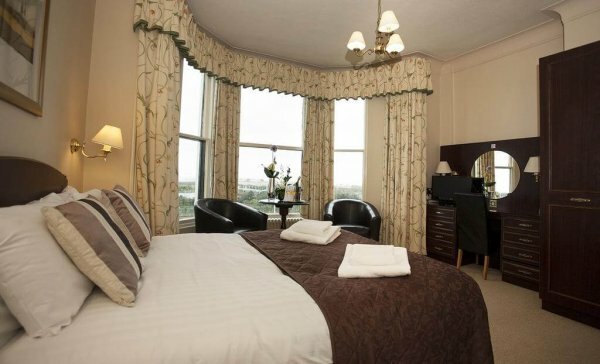 We stayed in Southport as we got we got a really good deal at The Royal Clifton Hotel. 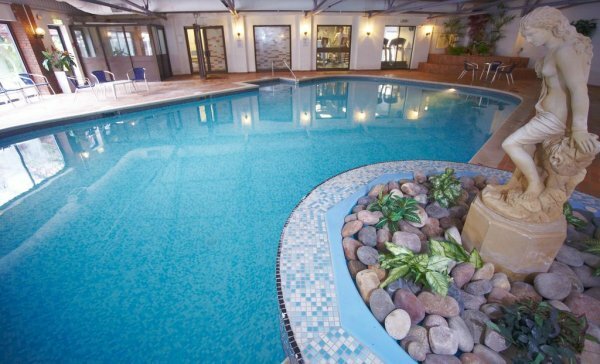 It was a super cheap January offer for £24 per night for us as we’re Best Western members. 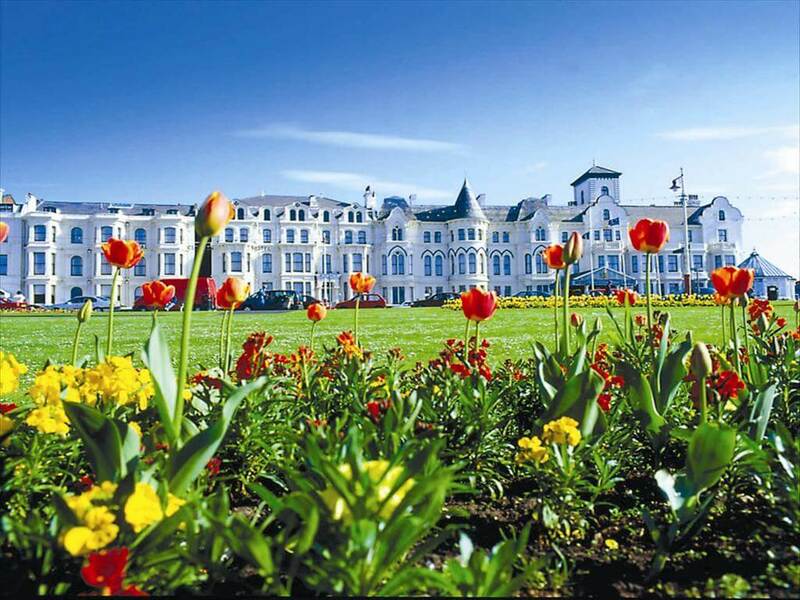 The hotel was very central to the beach, the seafront and the town. If I had bought my cozzie, there was a spa on site too. Day two of our weekend in Liverpool and Blackpool and I’m so excited for our plan to go to Blackpool Tower Ballroom for afternoon tea. It’s about an hour’s drive away from where we are in Stockport, but it’s a lovely day. Gutted, the Blackpool Tower Ballroom is closed in January. I’d looked on the website but didn’t book it. One more click and I would’ve seen it was shut. Grrrr. Never mind. We go to the Winter Gardens instead. In fact, it seems most of Blackpool is closed in January. Good job the beach was open and it was a nice day for a walk. Much later we find a fab little place on Birley Street called the Compass Cafe and Bar (very fitting name for the start of our travels), for warm scones with clotted cream and tea. That night we stayed at The Royal Clifton Hotel again. Day three and after yummy Eggs Benedict at the Royal Clifton, the fog reminds us that it’s January in England. We decide to meander home back to Derbyshire in good time, and stop to explore Ormskirk for a couple of hours along the way. Thursday is open market day in the street in Ormskirk. There are lots of stalls and we bought some local cheese – Crumbly Lancashire and Garstang Blue. There was a fresh fish stall and loads of clothes from major high street retailers for cheap. There was easy free parking and lots of coffee shops. Travel experiences require lots of planning for best results. 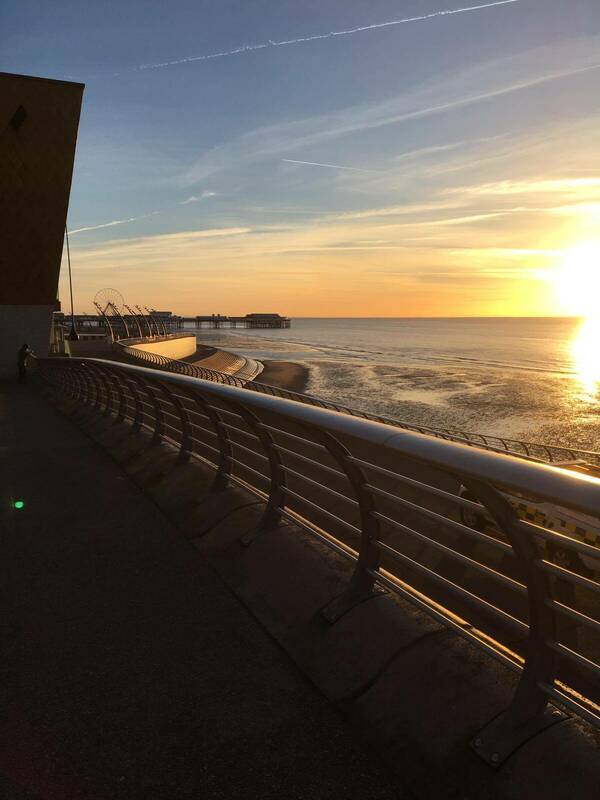 Liverpool was a great start to our gap year, and Blackpool was a good reminder to do our research before. We’re looking forward to our next trip in the UK! Thanks for the post mum! Hi, I'm Jane, Vicky's mum. I'm currently on a gap year with Charles, Vicky's dad. We're travelling as much of Europe as possible for our semi retirement. 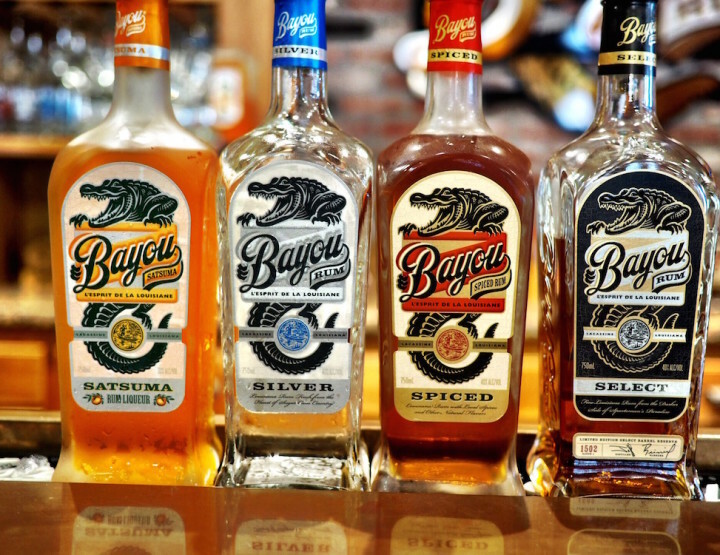 We've got big plans but limited funds so we're doing as much as possible, on a budget. We're also exploring England too. I'll be writing about some of our adventures on the blog, hope you like them! Loved to read about your adventures Jane. 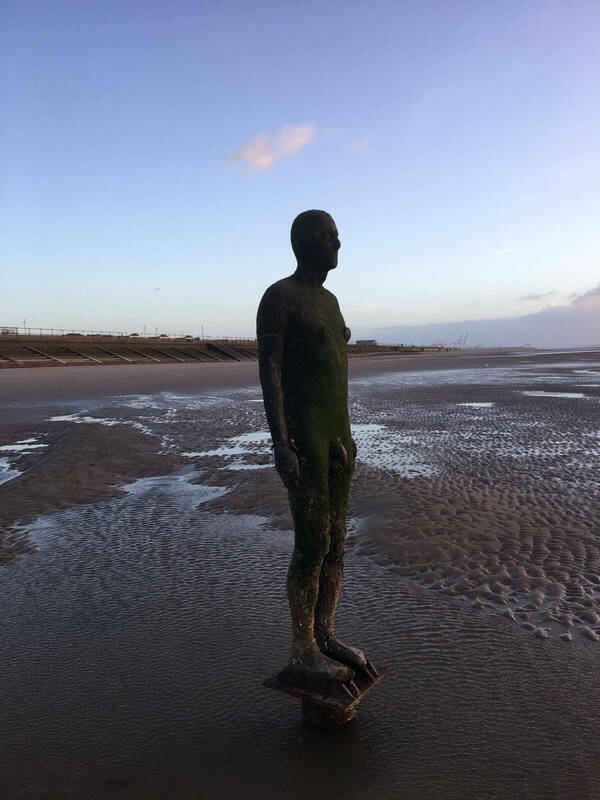 I've just early retired on a tiny pension and also trying to travel as much as possible I'm from Preston so know that neck of the woods but still haven't done the Gormley statues. You've reminded me to do it! Great photos! Thanks for your comment Alizon. I'm going to have to get mum to write some guides to travelling on limited pensions. If you're from Preston the Gormley statues aren't too far at all! Maybe wait for a sunny day and go and check them out. Although I like the moody skies too. Mum did well with the pics! Fab post Vicky’s mum! 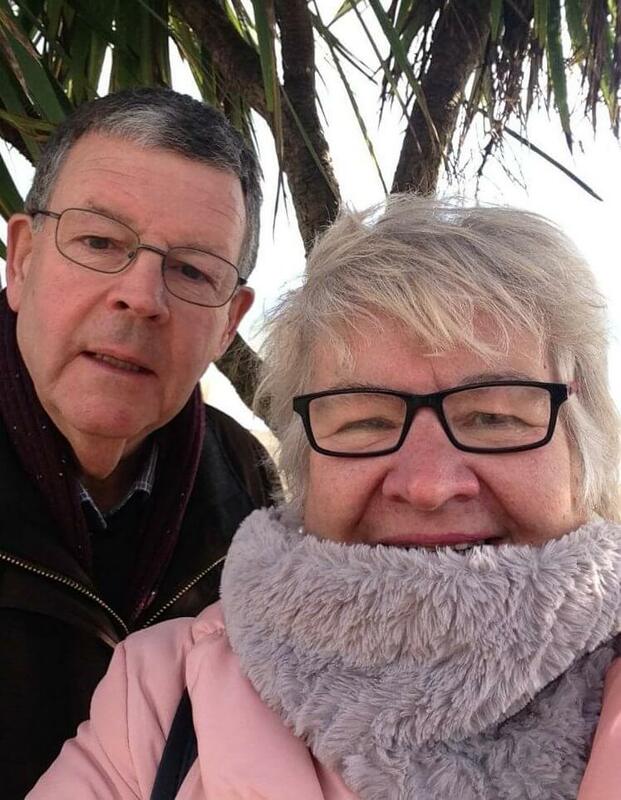 We’re retiring soon and will be doing lots of UK/European travel. (Subject to Brexit outcomes lol!) You made me realise I should join all the relevant discount sites for hotels and activities, thank you. Looking forward to many more posts. I can’t help smiling as I imagine your mom getting excited on the places you’ve visited. She seems adorable. You also took wonderful pictures! 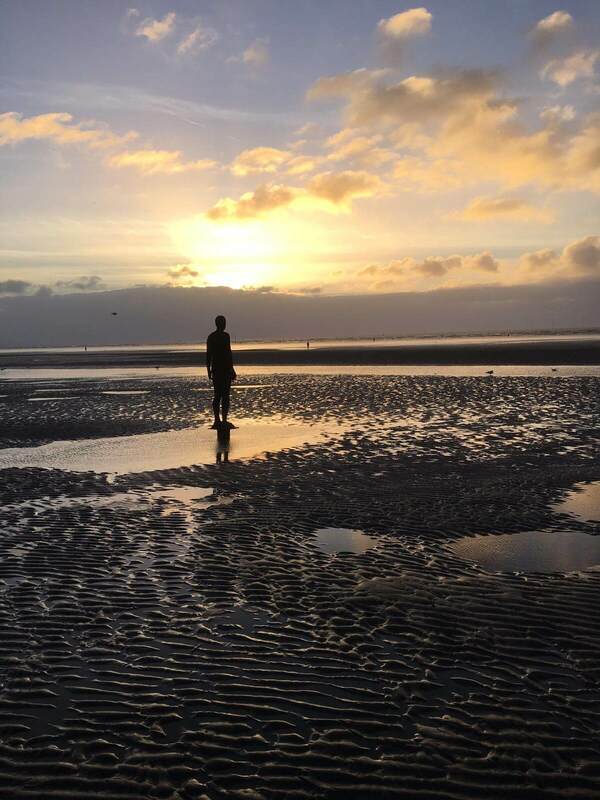 I especially liked the Crosby Beach - thinking there’s a hundred cast iron figures scattered in the area feels amazing to look at, especially under the sunset that you’ve just perfectly taken a picture of! Ah I loved reading about your trip to my home city of Liverpool and new hometown of Ormskirk 💕 but yes, *never* park in the Albert Dock! 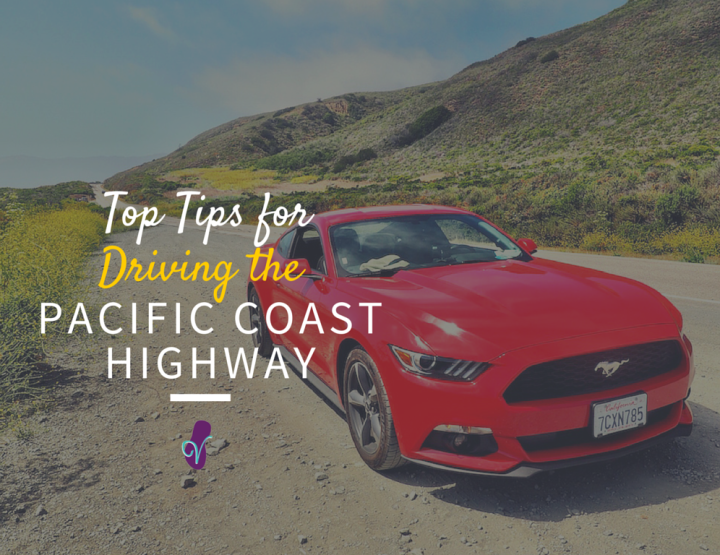 Oh I hope you make it there one day – there are some really iconic places to see. I don't know where your country is but there's an airport serving Liverpool, and a ferry too. Hope you get there one day!